One of my favorite dips is Muhammara. 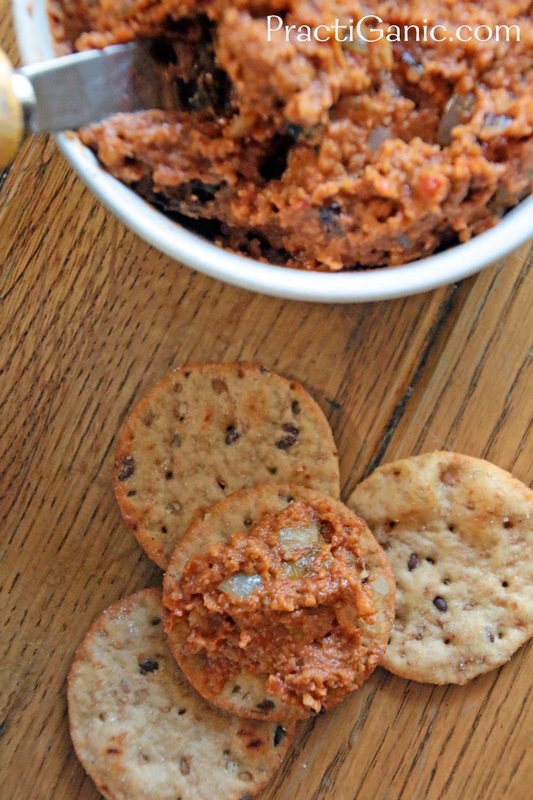 It's a Syrian spicy roasted red pepper dip and it's delicious. I was going to make it for a party we were having. I got all the ingredients out and realized I only had one roasted red pepper in the fridge and I really didn't want to go to the store. Okay, let's face it, I did not want to make yet another trip! So, I had to improvise because I really wanted to make this dip and I was already half way there with all the ingredients out! I decided, since it's the fall season, to add some pumpkin and caramelized onions. It should be able to add to the flavor without being too overpowering and I'll have enough to serve as a dip instead of a bowl filled with 1/2 c of Muhammara! I'm not going to lie, I still did miss the Muhammara, but I loved this dip and it was perfect to go with the rest of the fall food that I was serving that night. 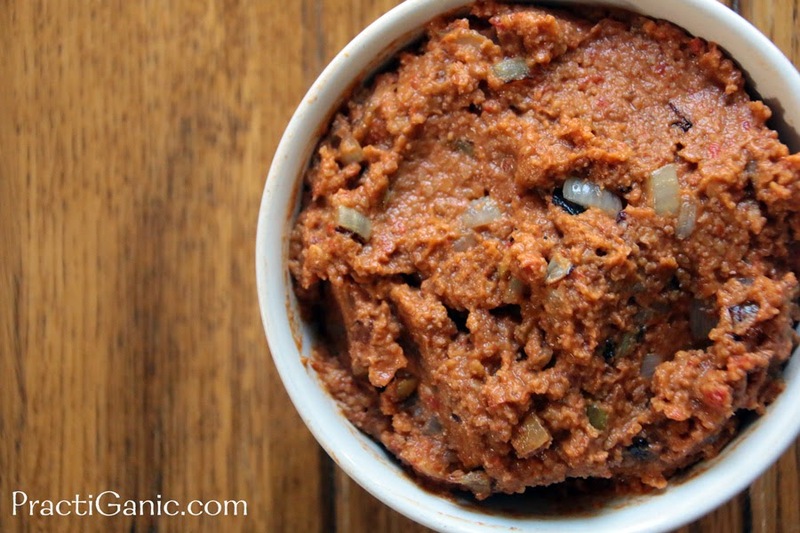 If you want to make it more as a Pumpkin Muhammara dip, I would omit the onions and it would be more true to the original recipe. First, caramelize the onions and garlic in a little oil. Set aside. In food processor, blend remaining ingredients together, adding the oil gradually to get the consistency that you like. Put the dip in a bowl and mix in the onions and garlic by hand. If you don't use the onion, just add the garlic to the food processor and mix everything together.